Emotional - Helping People set themselves free from their past. Resolving emotional barriers to being fulfilled in life, performance. Achieving more confidence and control. EFT can be used for Anxiety, Negative Emotions, Phobias, Irrational Fears, Grief, Sadness, Emotional Traumas, Anger, Resentment, Guilt etc. Personal - Coaching for Personal Development, helping people from where they are now, to raise their self awareness and help them get to where the want to be in all aspects of life. A journey of self discovery to identify what you need to be more fulfilled & Happy. Whether is it Confidence, Goal Setting, Health Goals, Self Awareness, Negative Emotions. I have the tools to help you overcome yourself and to move forwards. Professional - Business Coaching, Career Coaching. This is very much about a journey of self discovery and learning where I help people Identify what they value, and what motivates them in the contexts of Career or Business. I want to share what I have learned, to give you the tools & techniques to help you create the change you need to get on with life in the way you want. I use a pragmatic approach and support my clients in resolving the past traumas and emotional blocks, developing the tools, techniques and attitudes to take action. As well as face to face coaching and therapy I also working over the Internet via Skype and also Phone. My training in coaching came towards the later part of a successful 25 year army career. Having spent most of my career with both the Parachute Regiment and specialist roles, and driven by a desire to be the best I could be in whatever he 'chose' to do. I consistently displayed an ability and attitude to focus and learn the necessary 'Knowledge and Skills' to achieve my goals. To 'tap' into those areas of myself that unlocked my true potential. This is something I am passionate about, and something I want to share with others and to help them achieve their goals. In essence I want to 'be the Coach I never had' to others. To help people become the best version of themselves, to do their best work. Peak Performance - within the context of the army is something I chose, consistently achieving my goals. To facilitate this, I learned, applied and demonstrated the required attitudes during what are generally considered as some of the toughest military selection and training processes in the UK Forces. There definitely comes a point where attitude is, as important, if not more important, than physical attributes. Additionally I have overcome several personally challenging situations/experiences which have given me life experience and maturity. This has ultimately developed my own 'Emotional Intelligence' which I can now use to help people achieve results. However, this process would have been a little easier if I had the help of a Coach! In the later stages of my career I was a Senior Manager, turning my attention to the Training and Development of people within this niche military group. This is where I was exposed to Performance Coaching (as a Leadership, Management, Communication and Training model). Where I also learned the psychology behind the processes I had naturally applied to myself to achieve my goals. They keys to helping others achieve their goals. Coaching may be used to not only develop individual knowledge skills and the ability to learn but more importantly to develop useful attitudes that achieve results. This is something I am passionate about, and is something that I recognised that Specialist Troops naturally utilise and develop - a 'can do', positive, proactive & empowered attitude to effectively meet operational challenges. Empowered people typically have the belief system and supporting attitudes to support being self-motivated, self-directed and self actualising and actively seek results to problems before they become a crisis - something that is key in the challenges of life and business/career environments. These elements are, in my experience the key attributes to success. Key here however is that everyone has the same potential to achieve greatness, but they get in their own way, they lose 'the inner game'. Complimentary Therapies, Making Peace with your Past! As well as a wealth of life and Coaching experiences I have also had to deal with a range of emotional challenges, some traumatic events. Additionally the challenge of leaving the army after 25yrs - which is something that takes time to adjust to I can assure you. Understanding negative effects of our own psychology - our own emotional monkies or gremlins (emotions and beliefs) is important to me as it is this that usually sabotages our performance. I naturally crossed over into the therapeutic side of coaching to explore how to help myself and other people let go of the negative emotional aspects that hold us back. I have cleared my gremlins and healing myself In the process. This interest came after a quick experience of Emotional Freedom Techniques or 'Tapping', at an NLP Forum Meeting I attended. In what I can only describe as a profound experience, my negative emotions and thoughts about a particular issue disappeared in about 5 minutes! I had to know more, so read several books about Gamma Mindset, EFT & Matrix Re-Imprinting as well as Energy Psychology (the origins of EFT). Using EFT I worked on some aspects from my life that I thought did not bother me anymore. The truth was I had just put them away but never fully dealt with them (witnessing a very serious Road Traffic Accident when young, the death of my mother when I was 11 years old, being caught in an explosion in a training incident as a paratrooper). Approaches like NLP, EFT have really helped me make sense of, and heal those aspects of my past. They have also been fundamental to helping me deal with the emotional challenges of leaving the forces. Achieving goals and results is fine when you are doing what you love - but to leave the army and to try to find purpose afterwards has been very difficult at times. In short, I had been very lost at times, but the tools and techniques I have learned have helped me gain emotional balance again, to be happy, more fulfilled and in control. Happiness very much is an inside job - it is just our outdated beliefs and programs hold us back. I have learned to overcome these challenges and have also learned how to help others do the same. Something I am passionate about and want to share. To help people be the very best versions of themselves that they can be! So how does EFT relate to coaching? EFT and its variations can be used to work on a wide range of things such as Sadness, Fears, Emotional Traumas, Anger, Resentment, Guilt, Judgement, Abandonment, Betrayals, PTSD, and can help people access a more helpful psychology in helping to overcome the effects of illness and disease. A positive psychology, gained through clearing out our 'crap' and letting go of old ways of thinking can really help to tip the balance with our physiology and the body's ability to heal. The power of the mind is very powerful if you can learn how to use it. 1. Attitude Change Technology (ACT) Master Practitioner Coach looking at learning and development of Executives, Leaders, Managers and Team Leaders, Role Models. Learn a more productive way of thinking in order to face challenges. 2. NLP Coaching (Master Practitioner) Able to teach personal NLP to facilitate better understanding and performance of self and others. 3. 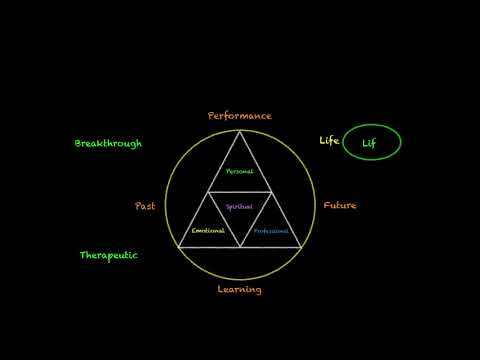 Life Coaching using conventional coaching tools and techniques and aspects of complimentary therapies for working on Negative Emotions and Behaviours that can hold people back from achieving the goals and peak performance (NLP, Time Line, Hypnosis, EFT Practitioner and Trainer (EFTMRA), Faster EFT (level 3 practitioner), Matrix Re-Imprinting). I am fully Insured, Conduct regular CPD, Practitioner Swaps and Regular Coaching / Therapy Swaps and Sessions. Business Coaching, I have a good understanding of Business Needs and am able to offer Coaching in this area for Small Business Owners and Business people alike. Executive Coaching - I have specialist experience in the development of Leaders and Managers up-to and Including Executive Level (Level 7). Career Coaching - Learn approaches to achieving the career you want. Helping Veterans with Combat Stress or PTSD Related issues, by providing self help and management tools and releasing negative associations to events (FEFT/ EFT/ Matrix). Negative Emotions and Limiting Beliefs, Phobias. Sadness, Fears, Emotional Traumas, Anger, Resentment, Guilt, Judgement, Abandonment, Betrayal, Helplessness. Loss and Grief, Addictions and Food related issues using FEFT. Parents as Coaches - build resilience in your children and improve their emotional intelligence for tomorrow as well as yourself so that you can be a good role model and teacher. Youth Coaching - we have all been there in one way or another, leaving school, not sure of what to do, grades not as expected. Unfortunately schools do not teach us what we need to take control of our lives and futures and the tools to do so. Initial consultation (1 hr) - Free Where I get to know the client, their issue, their goals and describe the method/approach I would use with them. This is followed by a Complimentary 1 hour session based on the initial consultation where the client can start to work on their issues (Values, Life Balance, Goal Setting). Subsequent sessions are at an hourly rate of £55.00 per hour. I can do 1 hr, 1.5hr or 2 hour sessions, usually first session is 2 hours with the complimentary hour included. I can change this to meet your requirements. Hourly rate £55.00 per hour - I prefer the first session to be around 2 hours so that I can help clients with their 'stuff' and give them tools to use. Second Hour Complimentary - again first session is ideally 2 hours. Professional Development in Leadership, Management and Emotional Intelligence using Attitude Change Technology (ACT). Initial consultation (1 hr) is complimentary where I can get to know you, your aim and discuss A.C.T. Methodology (A.C.T. is from Performance people Ltd of which I am an Associate). Hourly rate £100 per hour - sessions are initially 2 hours, then 1 hour sessions are possible, or I can deliver half a day (£400), full day (£750) training sessions or 5 day programs (Please ask for details). For this I use Attitude Change Technology (A.C.T.) to improve Leadership, Management and Personal Skills and Critical Thinking. Accreditation with the Institute of Leadership and Management (ILM) is possible - please ask for details. Paul is a Professional Performance Coach, NLP Master Practitioner and Complimentary Therapist able to use a 'Transpersonal' approach where needed to help people achieve goals and peak performance in life and work. He has served a full career in the Army in the more specialist and challenging roles and has a wealth of contexts and personal life experiences which gives him a mature, professional empathic and balanced approach to being a Professional Coach and Therapist. He has extensive training in Executive Leadership Development and Life Coaching, NLP and Complementary Therapies as well as Training Delivery to allow him to help people - he has experienced all of the therapies personally. 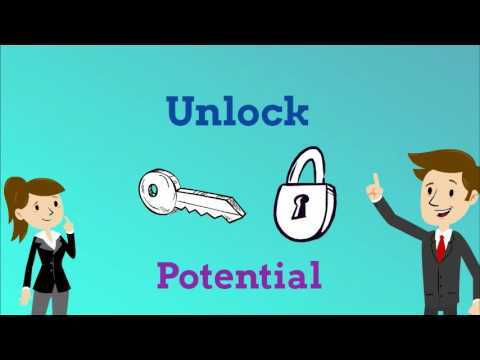 Able to use a personalised and blended approach to help you unlock your potential to achieve the results you want, or to change limiting beliefs and behaviours, attitudes and negative emotions. Professional Part Time Life Coach Available in Bournemouth, phone and online now. Why not arrange a free 1 hour consultation. Helping you reach your potential and true fulfillment in life.